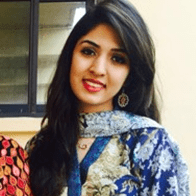 Yumna Rathore is a Project Coordinator at the Center for Economic Research in Pakistan (CERP). She is leading Innovations for Poverty Action/CERP’s mobile money project in Pakistan. In partnership with Telenor Easypaisa, the project implements evaluation studies aimed at improving adoption and usage of mobile money among those financially excluded in Pakistan. Previously Yumna was an International Consultant at the United Nations Development Programme (UNDP) in China where she worked with different private sector partners to execute innovative marketing and advocacy campaigns on UNDP’s energy, environment and poverty reduction portfolio. Yumna has a Master’s in Public Administration with a focus on Policy Research and Analysis from the University of Pittsburgh and a Bachelor’s in Economics and International Relations from Knox College. For more information visit Yumna’s profile on LinkedIn. Rapid-fire tests are nimble randomized controlled trials specifically aimed at improving product design. They are already common practice among technology-based companies as a way to iterate and rapidly improve their product and expand their user-base, but they can also be used to answer questions about the demand for financial products and improve other interventions that help the world’s poor. Innovations for Poverty Action explores what these trials can and cannot do.